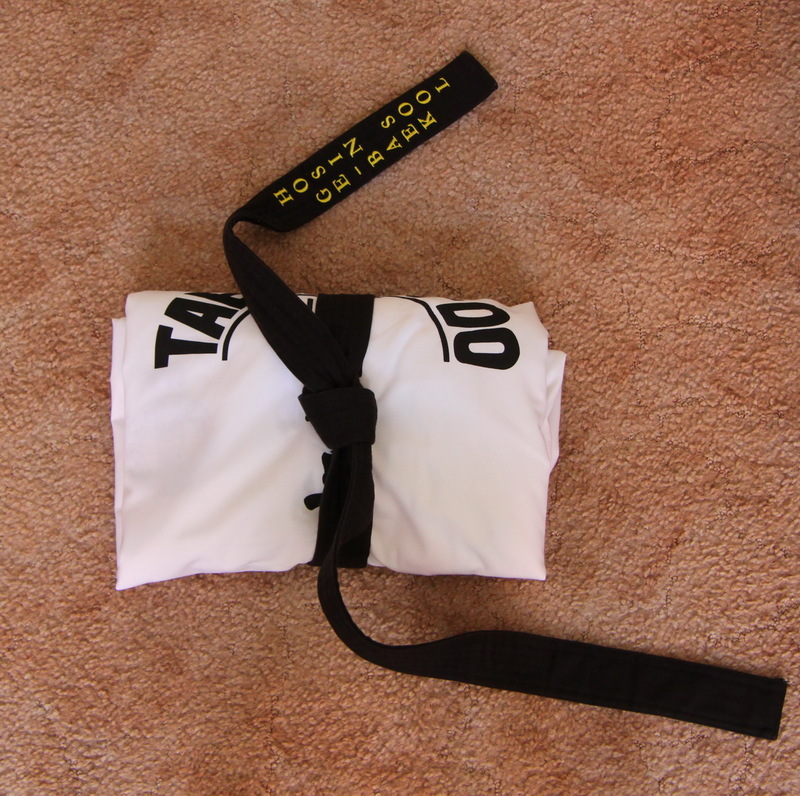 The white color of dobok symbolizes purity of mind and intentions, student not be dressed to disguise, he fights only in place where it is needfullness, and always openly against the enemy. 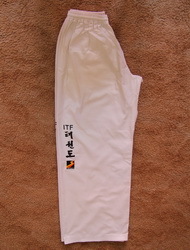 Furthermore, white is the traditional color Korean national dress. 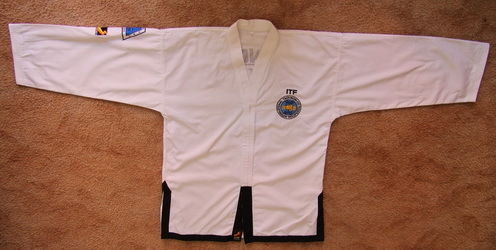 On the back is a Korean and English inscription Taekwon-Do in the shape reminiscent of a tree, symbol of Taekwon-Do as well as its evolution, life and power. 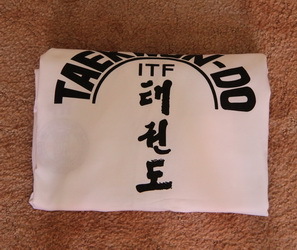 Ahead is a sign TKD ITF, its shape symbolizes a turtle shell, which is a symbol of longevity, also symbolizes the shape of the globe with meridians and parallels. Despite her is an inscription in Korean Taekwon-do. 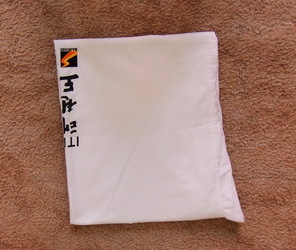 The fist is a symbol of martial arts, but also a general in the army led the 29th Infantry Division, which was called "Fist Division". Two extended meridians symbolize yin and yang. 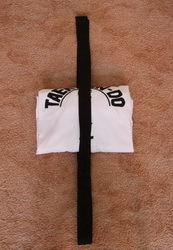 The inscription around "encircling" the entire globe. 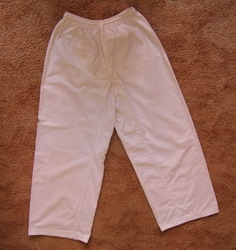 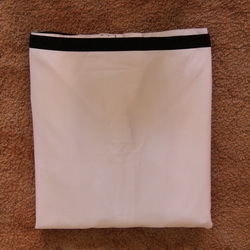 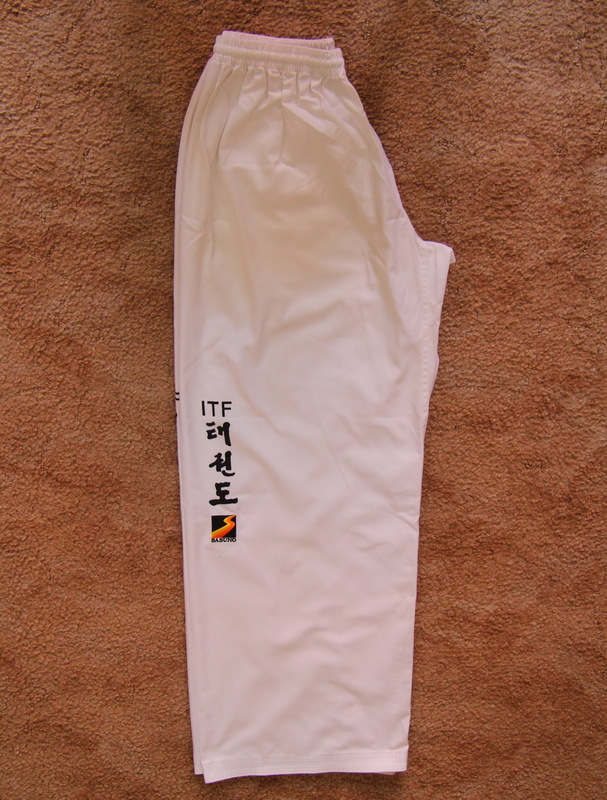 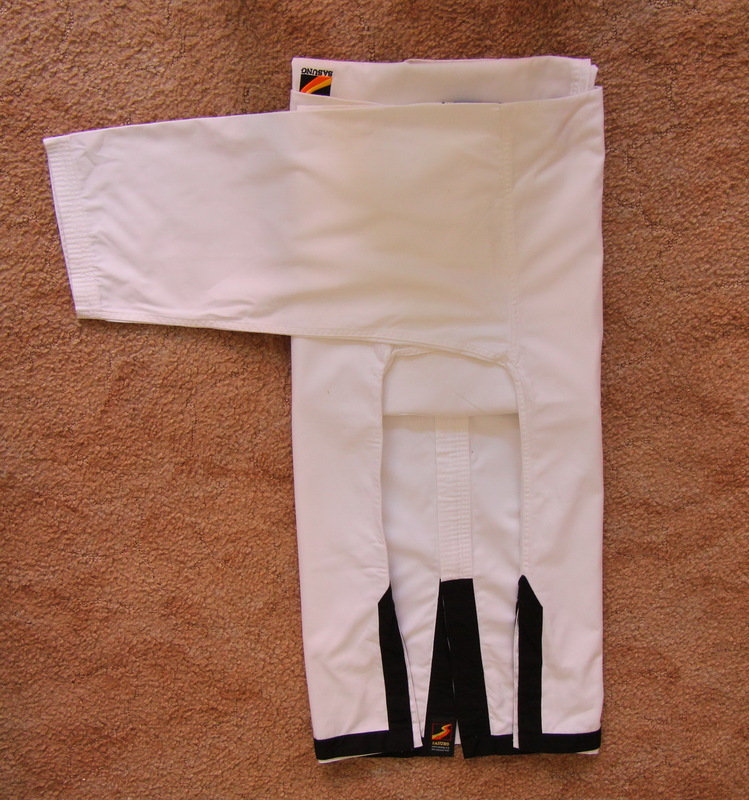 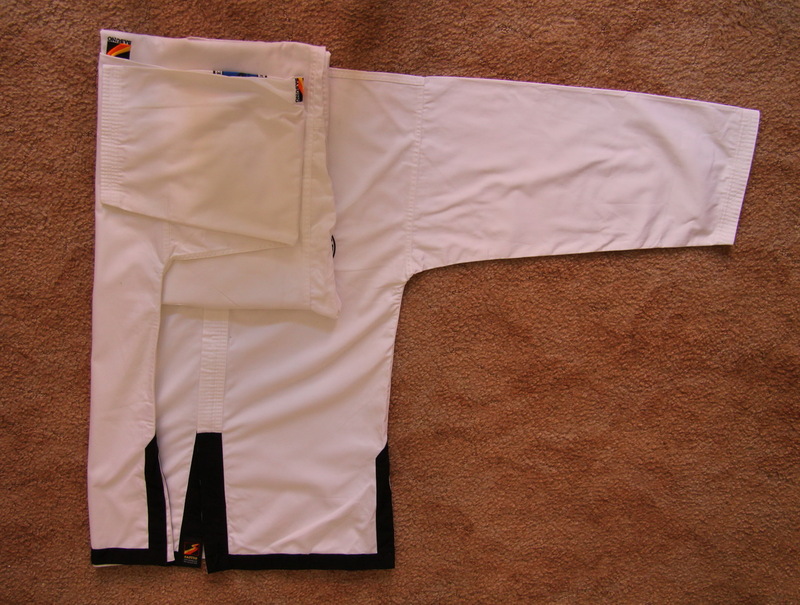 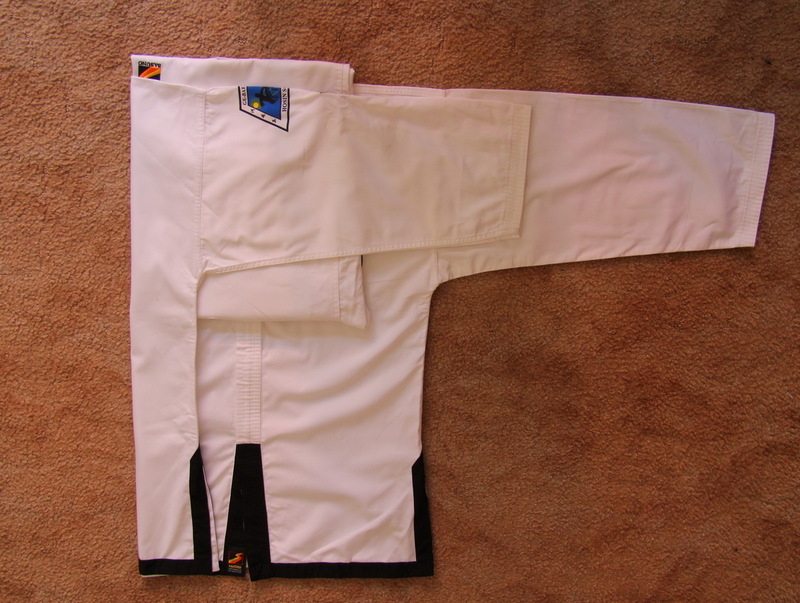 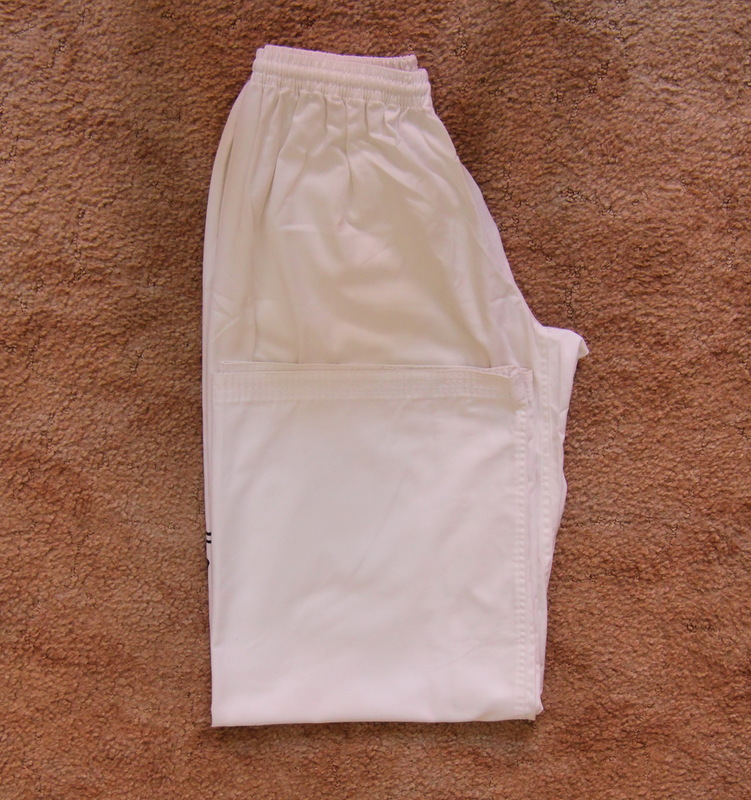 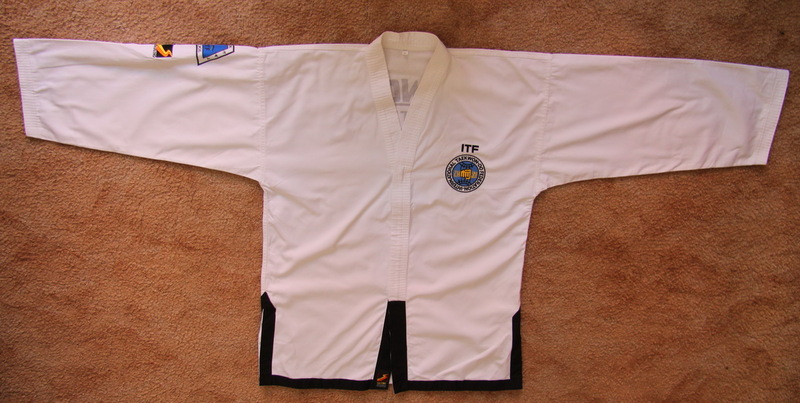 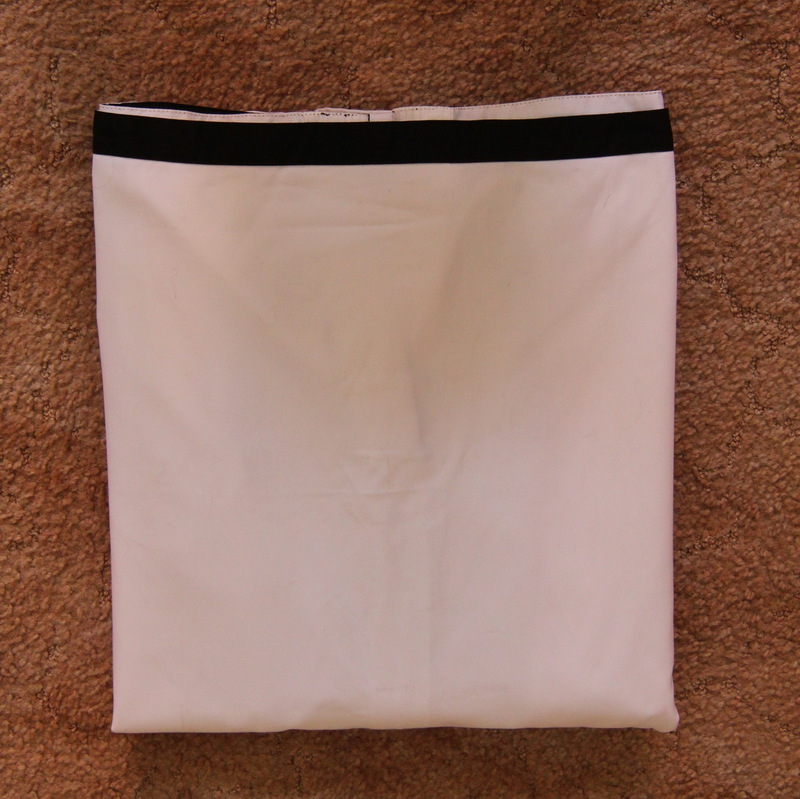 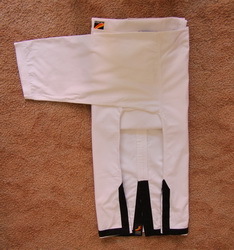 From the side of the pants stands ITF, is placed on the outer sides at knee height in order to always know that it is a student of Taekwon-Do ITF. 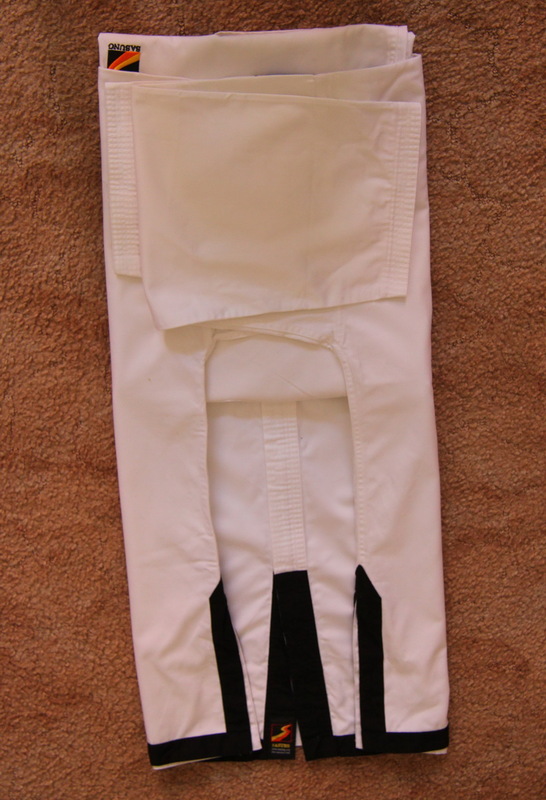 The colors have not been arbitrarily chosen. They are, in fact, steeped in tradition. 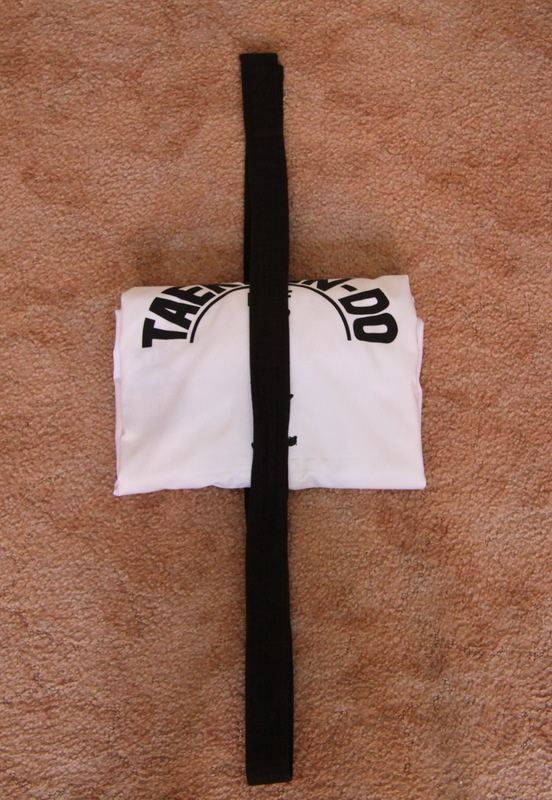 The colors of black, red and blue denote the various levels of hierarchy during the Koguryo and Silla Dynasties. 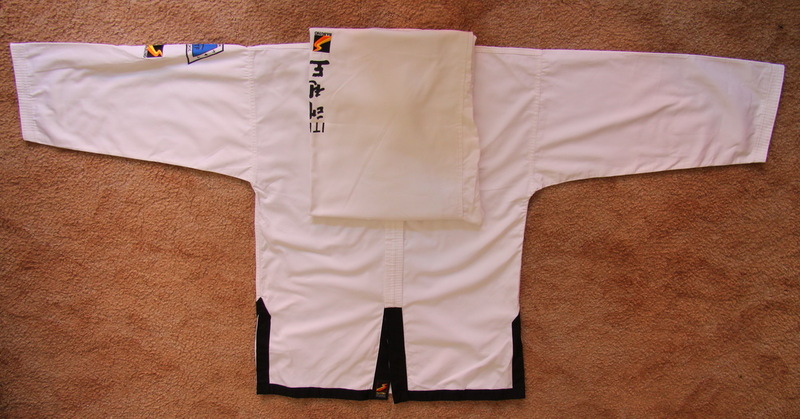 Green signifies the plant´s growth as the Taekwon-Do skill begins to develop. Black - opposite of white, therefore, signifying the maturity and proficiency in Taekwon-Do. It also indicates the wearer´s imperviousness to darkness and fear.